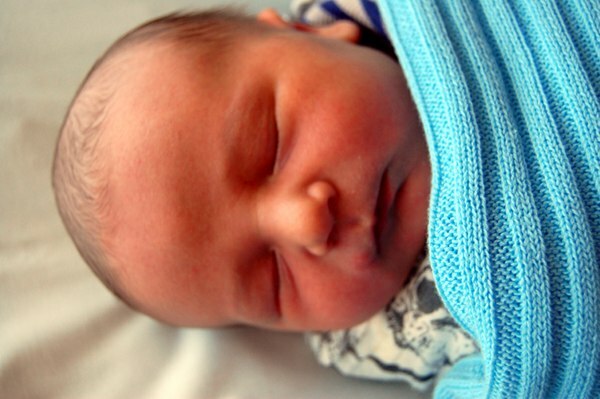 We came home with Archie yesterday, he was just over forty-eight hours old and doing well. He is the image of his older brother and was just shy of Oscar’s birth weight (Oscar – nine pounds, 4.5 ounces, Archie – nine pounds, two ounces). He is starting to feed well and his older brother is getting used to the new kid on the block! We are so thrilled to have completed our family and we can’t wait for the future. And just for my fellow Babyology mums – wow, more than one kid is hard work! The birth was a challenge to say the least (lucky me having my second nine pound, fifteen hour, posterior labour!) But isn’t it all worth it – we are so lucky to be able to have these beautiful creatures! Well Anita, Archie is ridiculously cute and as you say, they are definitely worth it. He is positively peachy so enjoy your baby gazing and give yourself time to master the juggling of two children! Before you know it, they’ll be happily playing in the backyard together and playing funny pranks on you.